The list could go on. I was following most of these rules year in and year out wondering why my stomach felt terrible so often. I was doing everything right, so what the heck was wrong with me? If you went through the same thing before learning about FODMAPs, you probably see where I'm going with this. 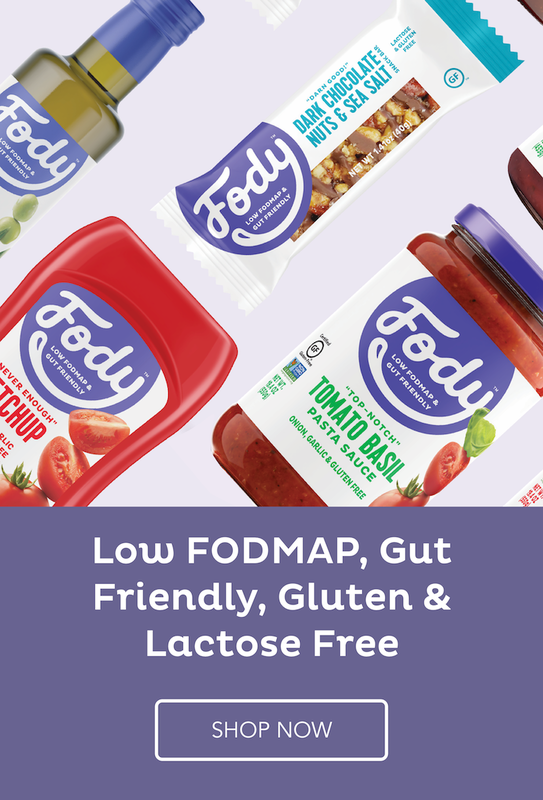 The low-FODMAP diet helps people like us manage our digestive symptoms. And it does this by going against conventional healthy eating wisdom more often than not. Lesson: Sometimes you have to break the rules to get remarkable results. And that is exactly how I developed this easy, one-pan ratatouille recipe. Traditional ratatouille may be a simple, homey dish (which you know if you've seen the Pixar movie), but here's what that cute little animated rat doesn't tell you: It's actually a time-consuming and "involved" sort of recipe. The individual ingredients are usually cooked separately (and slowly), often in multiple pots, and in the oven too. Some recipes tell you to salt the eggplant (totally unnecessary! ), peel tomatoes and make a fresh sauce, let the finished ratatouille rest... It's a little out of control. I wanted super-tender, flavorful veggies and a thick sauce. So I decided to take the low-FODMAP veggies I love, quickly brown them and simmer them up with canned tomatoes. Guess what? It totally worked. And it turned out even better than I expected. Don't you love it when that happens? Yes, this recipe is all veggies (obviously), so stick to a moderate portion. Maybe 1/2 cup to start? If you know any of these veggies disagree with you, add something else or use extra zucchini if you don't like eggplant, for example. Think of this ratatouille as a magic little side dish-slash-topping that can take pretty much any meal from boring to awesome. And it's oh-so-good the next day and the day after that. Use it to create different meals throughout the week. Traditional ratatouille is usually a time-consuming, multi-step process, but this one is done in one pan on the stovetop (no hot oven--yay!) in about an hour. And it makes a nice, BIG batch. Serve it over polenta, pasta or a grain like quinoa. Add a protein if you want. Make a salad with it the next day. Lots of possibilities with this one! 1. In a large, wide sauté pan, heat about 1 1/2 tbsp of oil on medium high. Add eggplant, season with salt and black pepper, and cook, stirring freqently, until lightly browned (eggplant will not be soft and cooked through at this point), 7 to 10 minutes. Transfer to a large bowl. If a lot of brown bits are sticking to the pan, add about 1/4 cup water (or red wine). When it starts to simmer, scrape the bottom of the pan with a spatula to deglaze. 2. Heat about 1 1/2 tbsp of oil in the pan, still on medium high heat, and add the zucchini and bell pepper. Season with salt and black pepper and cook until lightly browned, 7 to 10 minutes. Add to bowl with eggplant. Deglaze pan again if you like. Add 1 to 2 tsp of oil. Add green beans and cook, stirring frequently, until lightly browned, about 3 minutes. 3. Add tomatoes to pan with green beans and bring to a simmer. Stir in eggplant, zucchini, bell peppers, dried herbs and chile flakes if using. Cover and simmer on medium to medium-low heat until vegetables are very tender and sauce has thickened, 25 to 30 minutes, stirring occasionally. If pan gets too dry before veggies are done add water as needed. Stir in olives. Season to taste with salt and black pepper. 4. Serve ratatouille over polenta, gluten-free pasta or quinoa (or use any of the other ideas in this blog post). Sprinkle with feta and fresh basil. I like to add chicken for protein. In the last newsletter I sent to my Email Crew, I shared 3 favorite low-FODMAP veggies and fruits that I've been stocking up on at the farmer's market and how I put them to use.